Washington should admit that every country has a justified right to develop and most countries can make their own choices independently, a Foreign Ministry spokesman said on Monday. 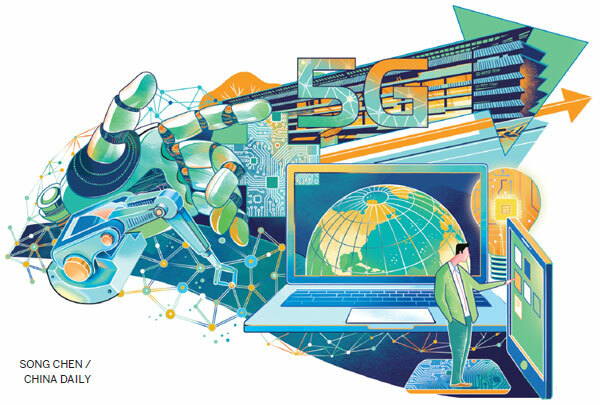 "More and more people have shown an increasingly just attitude toward Chinese technology companies' participation in 5G network construction. The United States should not feel uneasy about this," ministry spokesman Lu Kang told a news conference in Beijing. His remarks came after Richard Grenell, US ambassador to Germany, explicitly warned in a letter to German Economy Minister Peter Altmaier dated Friday that the country faces consequences if Huawei participates in its 5G infrastructure. According to The Wall Street Journal, Grenell wrote that allowing the participation of Huawei or other Chinese equipment vendors in the 5G project would mean the US won't be able to maintain the same level of cooperation with German security agencies. Lu said that some people in the US should not count on any other country catering to Washington's self interest or political calculations by sacrificing their own reasonable development rights and interests. According to Reuters, Altmaier said earlier that Germany did not want to ban Huawei, but would change its laws to ensure all components used in the 5G networks are secure. Grenell, who assumed his current post as ambassador in May, caused a stir in Germany with a series of threats, including warning of significant sanctions risk to German companies participating in the Nord Stream 2 pipeline, a joint project between Germany and Russia.